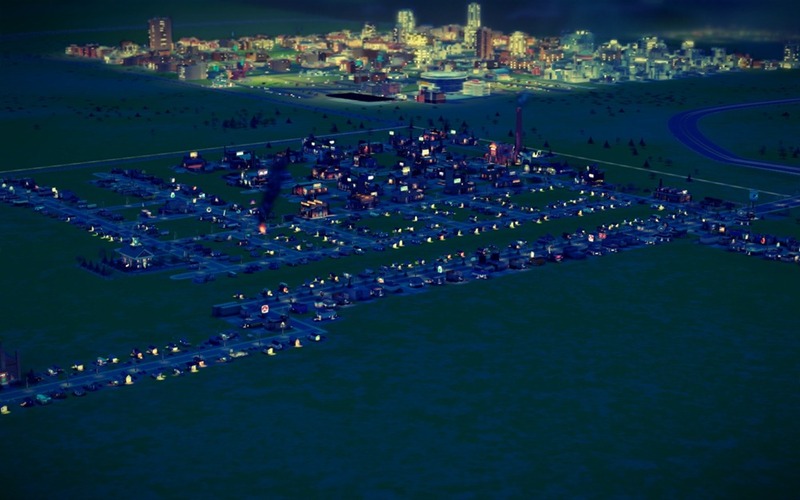 SimCity has always had a spot in the hearts of PC gamers. Many people got their first experience with the series in SimCity 2000, but I kind of backed into the series by way of the Super Nintendo version. From there I’ve tried all of the PC releases, from the original through SimCity Societies. My favorite was long the iconic SC2000 but that may be changing. That is, if EA can get this game in reliable, working order. The first thing I noticed when I actually got into the game (more on that later) was that I love the Glass Box graphics engine. It doesn’t look fancy, tech-wise but it’s used beautifully. 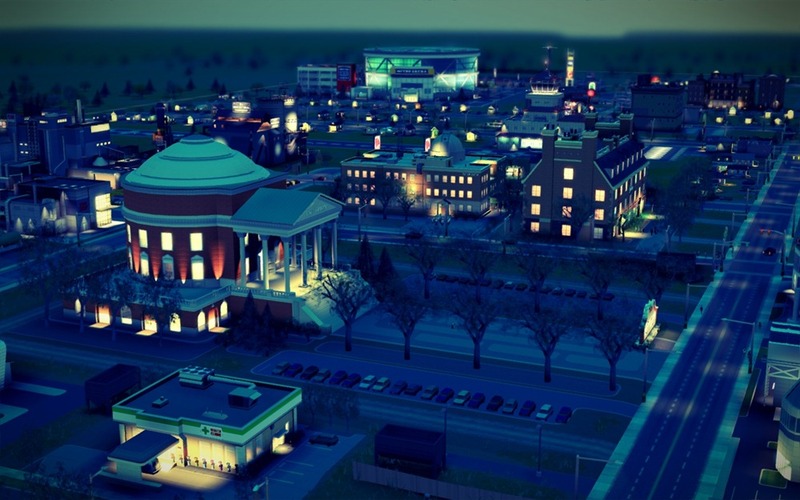 The cities you make look charming from any angle and you can zoom down to see individual sims walking your streets. You can highlight and follow them around town to see where they’re going to get an idea about your city’s traffic flow and quality of life. Do you have a traffic jam near town hall? Follow a few cars through to see where they’re all trying to get to so you can alleviate the clog. SimCity features changing weather and seasons but they don’t have a great effect on the game play and don’t really stand out visually, either. The developers seem to have spent allot of effort streamlining old concepts to remove cumbersome or tedious tasks. Powering your city is no longer a process of placing power lines, since the electricity (as well as water and sewage) is transmitted under the roads. You can turn on the electricity map watch the juice running from your power plant throughout your city in real time, which relates to one of my favorite parts of the game. I love the way information like that isn’t on a chart, or in a block of text or numbers. It’s overlaid organically atop the city so you can see exactly how and why your city is running the way it is. This lends itself to a more fluid feel that doesn’t kill the complexity. Specializing your cities was one thing I was intrigued with at launch but thus far it hasn’t been as impressive as I’d hoped. You can use those overlay maps to find oil, ore and coal deposits under your city and place mines or pumps over them to extract those elements. These raw goods can be used for things like fuel in your power plants or processed into more complicated goods that you can then sell on the Global Market. Aside from a mining town, you can also be a tourist town or a gambling town, but the fact that you can be all of these things at once bothers me. I would prefer having to choose a singular specialization for each city. That would make the cities in your region more codependent and encourage building more than one city. One thing that does encourage building multiple cities in a region is the border restriction. Cities aren’t tiny, and aren’t as bad as allot of people say they are, but they could definitely stand to be bigger. 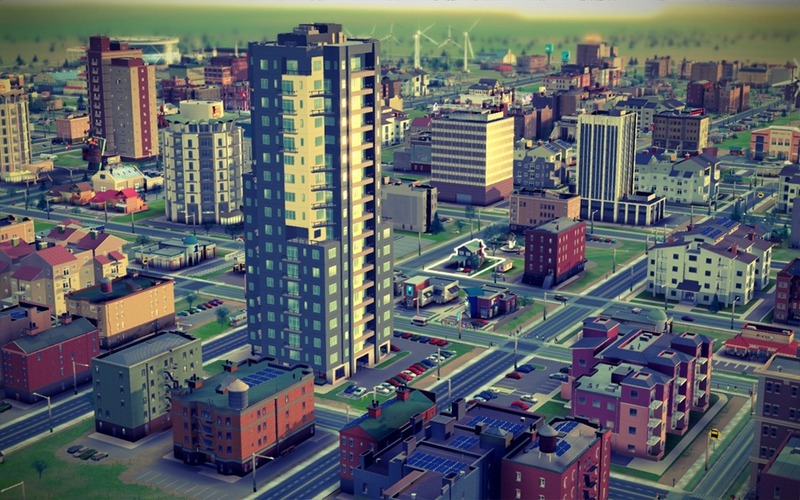 This SimCity is all about density rather than sprawling, open builds. It seems like a tough restriction but I see each city as a blank template. You’re given a canvas, and it’s up to you to do what you can within it’s borders without painting over the edges. The best players will produce highly efficient, densely packed metropolises, separating themselves from the masses with their constrained attempts at expansion. It’s a different kind of game play from the old games but I prefer it. After a week of trying I finally managed to get a monster to attack my town, but that’s the only disaster I’ve yet experienced. I then recalled the monster a few times and marveled that the citizens of my town didn’t much care, aside from a few panicked dialog balloons. My approval rating continued to climb while the beast toppled the town. You’re think that they would be angry, or scared, or they’d leave, but nothing of the sort happened. They just rebuilt what the monsters broke and kept on trucking, smiling the whole way. 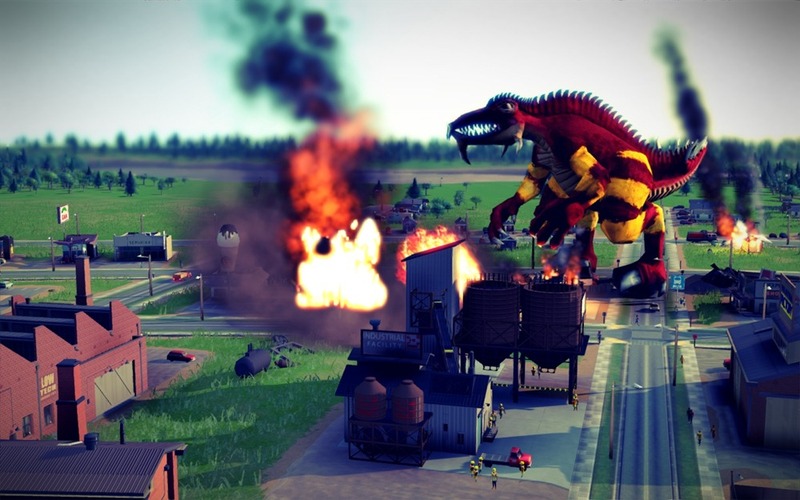 Of course, there’s no way to discuss this SimCity without talking about its busted launch. Simply put, the game was released as a broken product. The always-on DRM is the headache most everyone predicted it would be, and then some. Many people, myself included, spent large parts of launch week unable to play the game due to server issues that either told them they couldn’t claim territory, deleted already built cities, told them connection to the servers had been lost or just didn’t let them log on in the first place. Things seem to have been smoothed out but EA disabled key features like leaderboards and the top game speed to reach this state. I hate reviewing DRM but in this case it hurts the game so much that it has to be factored in. When SimCity works, it’s my favorite release in the series. I love the game engine, I love the interface, and I love the flow of the game. I just hate the DRM enough that it tempers my enthusiasm. I’d love to say, “Buy this,” but until EA proves that they can run their servers reliably while providing all of the features they advertised I feel obligated to warn you to hold off for now. If you do buy it and don’t run into server issues you’ll find that SimCity is a pretty fun game, it just wasn’t ready to be released when it was.